This unique image is a reproduction of a digital painting personally commissioned by H.E. Tsem Rinpoche, depicting the enlightened Dharma Protector Dorje Shugden in traditional Indian style. 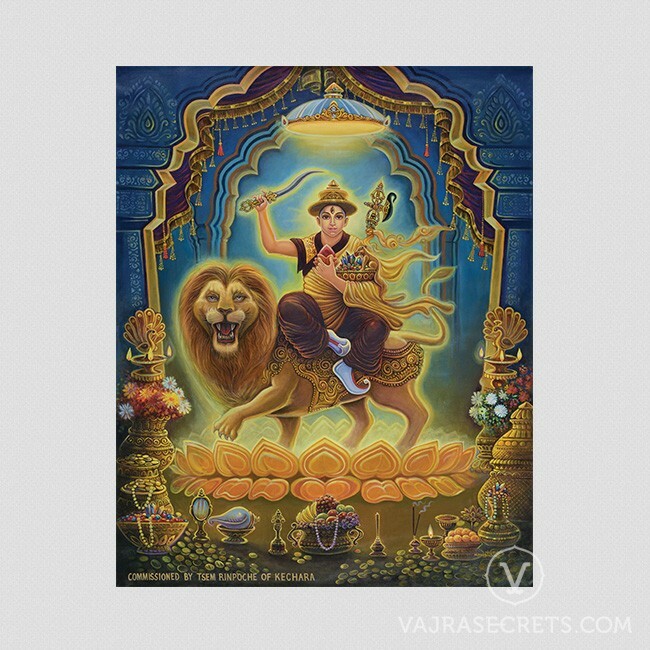 Standing in a resplendent celestial abode typical of the Hindu deities, this Indian themed spiritual art of Dorje Shugden is a powerful reminder of how this Universal Protector will protect and bless everyone regardless of origin, culture, colour and creed.